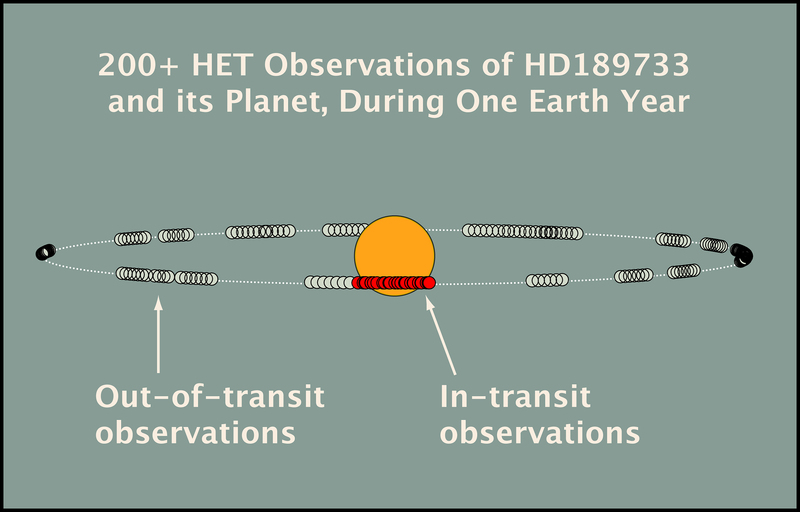 The dotted line shows the planet's orbit around the star HD189733. The planet orbits the star once every 2.2 Earth days, crossing the face of the star well below its equator. The small circles indicate the planet's location during each of Seth Redfield's more than 200 HET observations over the course of one Earth year. The red circles indicate observations during transit; the rest of the circles denote out-of-transit observations. Credit: S. Redfield/T. Jones/McDonald Obs.